The Bible makes me strong. 20 No longer will babies die when only a few days old. My life is not ideal right now. I can say that this broken ankle is not healing fast enough. Through the maze of pain killers, I’m simply not very functional to the point where I can go to my job or continue my caregiving ministry and my ministry with my own mother who recently returned to hospice care. She’s sleeping mostly now. Plus, someone who has a very special place in my heart passed away during the week I had surgery and I’m grieving an unexpected loss. I know all of this will pass and I will see the colors of the rainbow soon enough. Meanwhile, I am trusting God. One of the things I know for sure is that the Lord cares about how I feel and he cares about what you feel in your own valley. 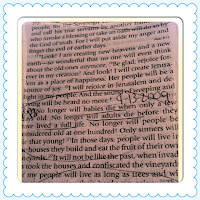 The Bible reassures us that God loves us – he always has and he always will. John 15:9 “I have loved you even as the Father has loved me. Whether you have severe health issues, are grieving the loss of a loved one or any other type of loss or life-altering circumstance, cry out to God. The hours after my accident I cried out to God in pain – that was my only comfort - until the major drugs kicked in :). He has also been my constant source of comfort since the pain meds don’t always help. You may be facing a terrible loss – a life-changing event, I encourage you to hang on to the Lord. Don’t let go. Feel free to ask why and even if you get mad, rant or feel sorry for yourself (I have), he will understand. God has more planned for you and me than we will ever understand on this side of heaven. 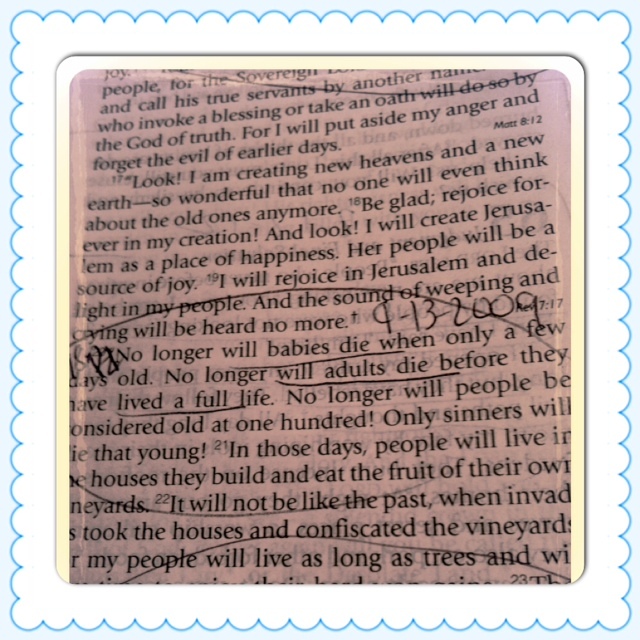 He has promised that babies and people who haven’t lived a long life will no longer die! That promise excites me because I believe that love lives forever. The love God shows us and that same love we have for others will never die – it binds us into eternity! In my ministry with very ill people, I've found that those who can praise God during life’s toughest times are the ones who heal faster and move on to the new normal that awaits them. I invite you to consider praising in your storm. Don’t let go of the LORD. He will not let go of you. He has great plans for you! Clear your heart and reach for Him. May the Lord bless and comfort you.